Happy Win it Wednesday Giveaway Linky Day and greetings from Gatlinburg, TN. We are actually leaving Tennessee today as we begin our last 5 days of this epic 2 week road trip. Since last Wednesday’s post we visited the Indianapolis Motor Speedway, arrived in Michigan, prepped for the wedding, visited Lake Michigan, had an amazing wedding and reception, traveled to Kentucky to visit the Ark Encounter, and spent 2 nights at the Margaritaville Gatlinburg Resort. Phew, we’ve been busy. I’ll be writing separate posts about the wedding, the Ark Encounter, and our visit to Gatlinburg but I know some of you are dying to see a few pictures from the wedding. so here we go…. 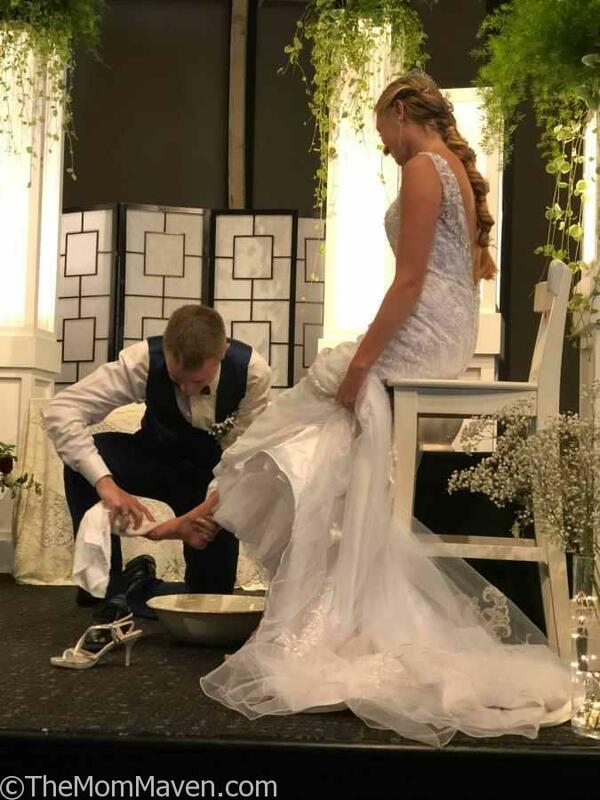 Jordan washing Savannah’s feet during the wedding ceremony. 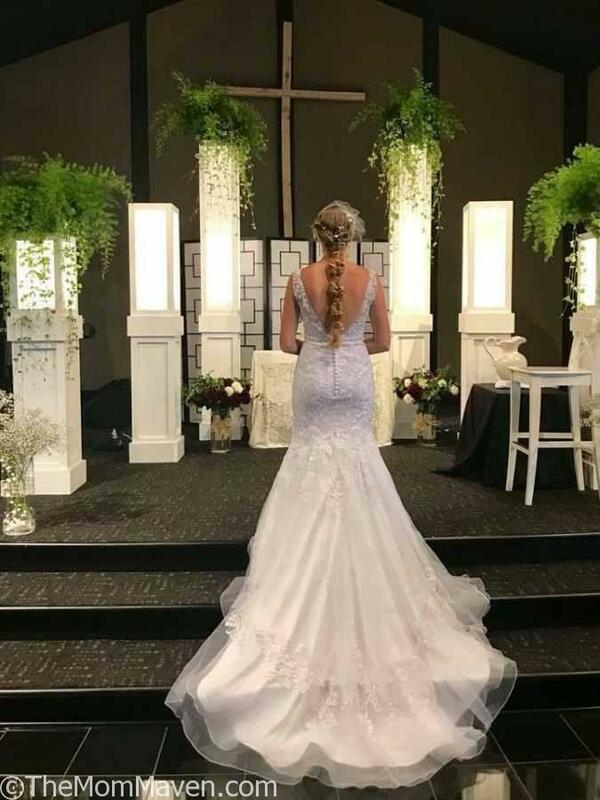 Savannah’s beautiful dress and braid from behind. 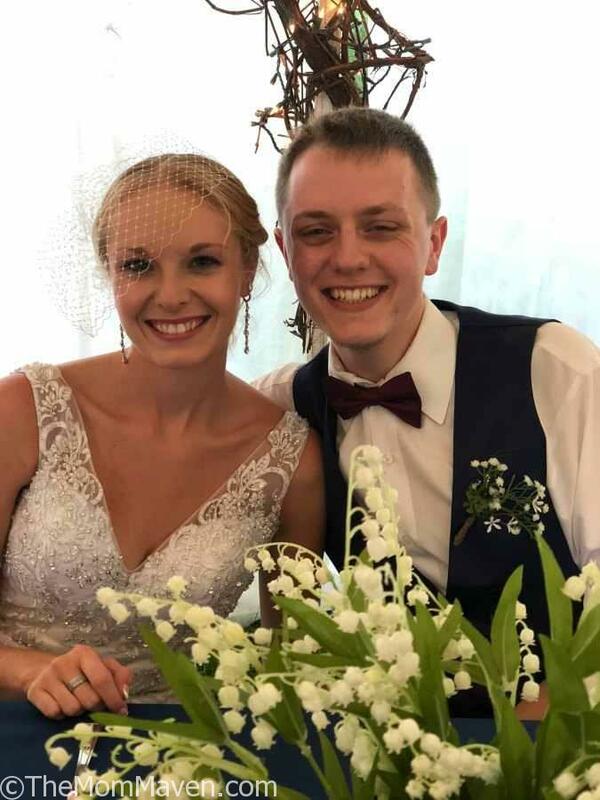 It was a beautiful wedding that took place in a venue known a the Yellow Box in Allendale, Michigan. The reception was held in her parent’s beautiful backyard. 4.No more than 3 giveaways per website per week please!